Covering a thousand years of history and an area stretching from the Atlantic to the borders of India and China, this text is a guide to the arts of Islam. From the supreme confidence of the Dome of the Rock in Jerusalem to the scores of exquisite buildings of Ottoman Istanbul; from the elegant palace complex of the Alhambra in Granada to the splendours of 17th-century Isfahan; from the virtuosity of Persian painting in the 15th century to the vivid ceramic tradition of Ottoman Iznik, the evolution of the range of Islamic arts is explored. 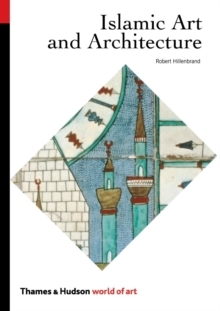 Supported by a glossary of Islamic terms, a timeline and maps which untangle the complex history of Islamic dynasties and their artistic achievements, the book traces the architecture, calligraphy, book illumination, painting, ceramics, textiles, metalwork and other art forms of this prolific civilization, whose works survive in abundance.